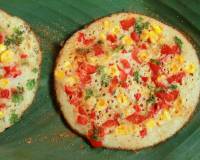 Tomato Dosa Recipe is yet another South Indian variety of Dosa which is popularly eaten for breakfast in many parts of India. Breakfast being the most important daily meal, it is most important to have a sumptuous breakfast to keep you going for the day and to kick start your metabolism. 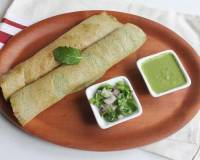 Dosas are a high protein breakfast option that has all the requisite nutrients to start your day, however making the batter ahead of time is not always possible given our busy schedules these days. 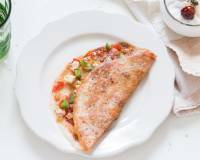 This Tomato Dosa Recipe will come to your rescue on busy mornings so that you don’t have to miss out on a wholesome savoury breakfast just because you are short on time. If you are a stay at home mom, working woman, college student or bachelor this recipe will be a keeper. 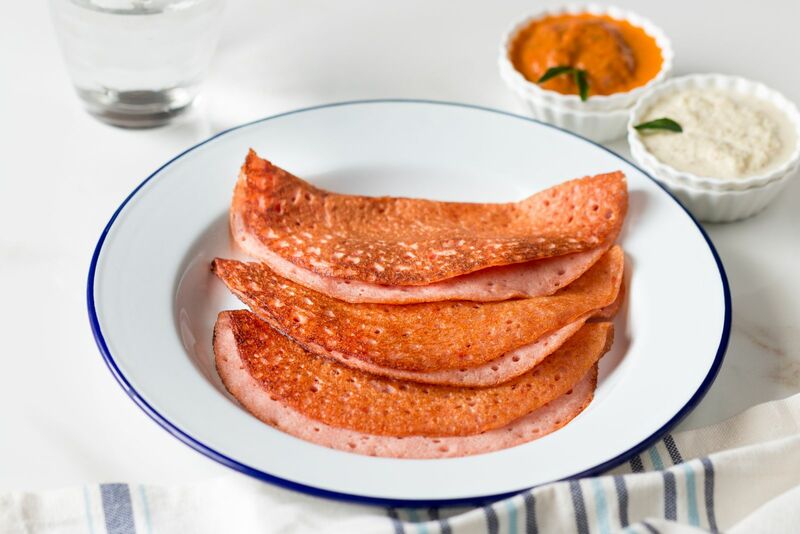 With minimal preparation of soaking dals and rice overnight - since there is no fermentation required, you can have the Tomato Dosa ready in no time, without waiting for the batter to ferment! 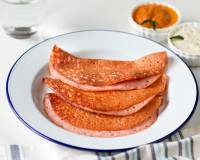 Serve dosa immediately with Red Chilli Coconut Chutney for a delicious wholesome breakfast, or pack it in your own lunch box or kid’s snack box. 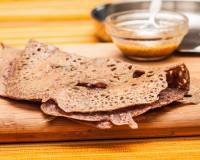 To begin making the Tomato Dosa, first rinse raw rice, methi seeds and urad dal separately. Then soak them separately in enough water for just 3 to 4 hours, or overnight so it is ready for your breakfast. 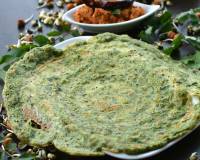 After 3-4 hours or the next morning, grind rice, methi seeds and urad dal together with a little water until it forms a smooth batter without grains. Add roughly chopped tomatoes to the batter and grind for few more minutes till all tomatoes are ground well and the batter is infused with the tomato puree. Pour the batter into a bowl. Add salt to taste and mix well. Add cooking soda and mix again. Leave it for 10 minutes. 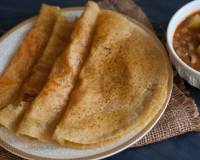 You Instant Tomato Dosa batter is now ready. 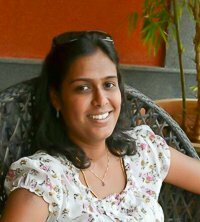 To make dosas, place a skillet or tawa on the heat. When it is adequately warm, pour a ladle full of batter and spread it into concentric circles working your way outwards, till you have a dosa of your desired size and thickness. Drizzle a few drops of oil or ghee on the sides. 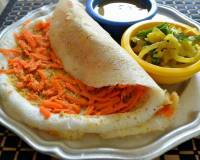 Cover the dosa and allow it to cook. Once the sides of the dosa starts to brown and release from the pan, gently lift the dosa from skillet and flip to cook on the other side.